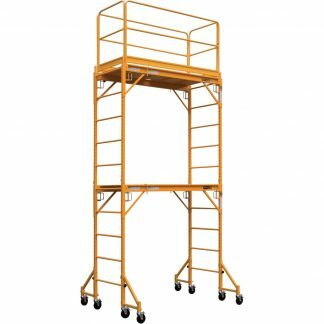 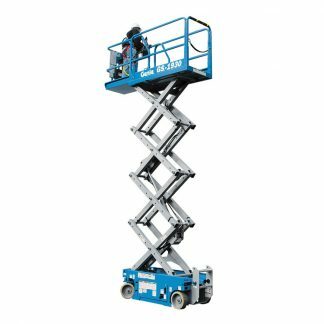 The Genie GS-1930 slab scissor lift is easy to maneuver in tight spaces, has a 25-ft working height, boasts quiet electric, zero-emissions operation and is ideal for indoor and outdoor applications on firm, level surfaces. 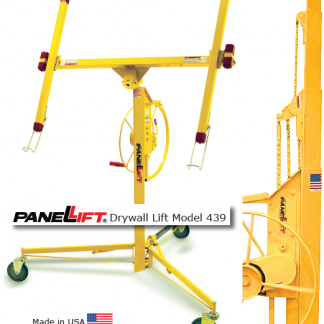 This lift offers a large platform workspace with 36-in (.9 m) roll-out platform extension. It has front-wheel drive and zero inside turning radius, along with multiple disc brakes for smooth deceleration. 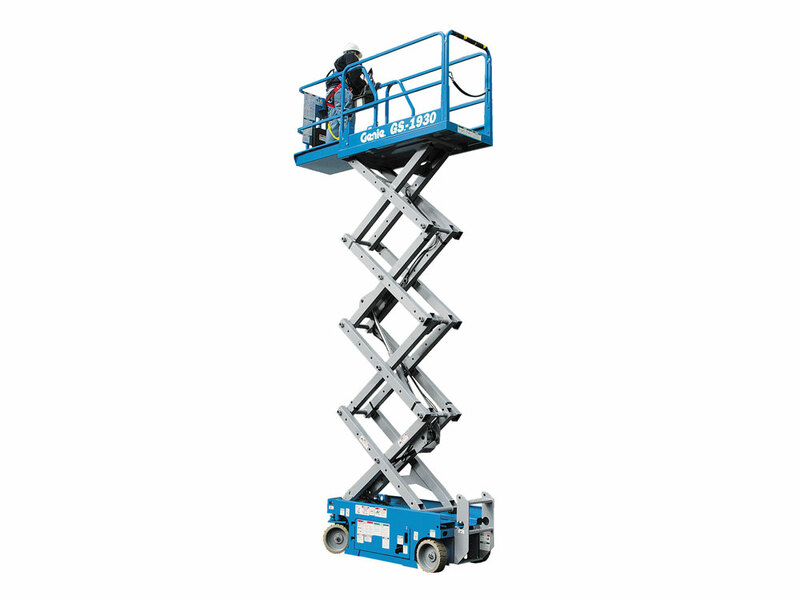 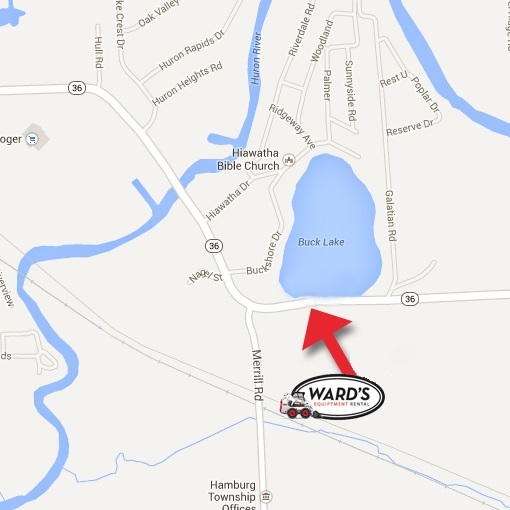 For safety, it is equipped with drive speed interlock to limit speed while elevated.